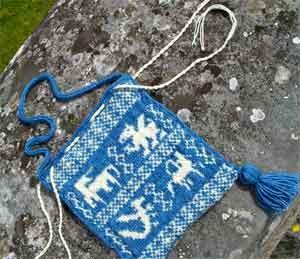 Vivi alias Suis Le Fil of the Champagne region of France has been very busy over the summer combining her love of all things medieval and her knitting skills. 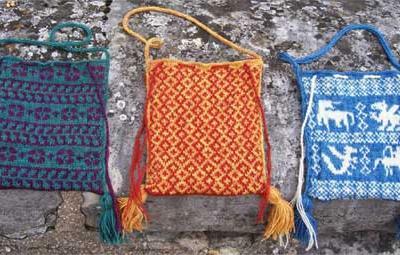 The Medieval drawstring bags below have been created using Renaissance Dyeing Sock-weight 4-ply wool. Fortunately we don't have to attend the French Madieval Faires to buy one as Vivi also has an Etsy Shop. You can also view her blog and follow the stories behind her creations. Ortien on 03/22/2010 3:43 p.m.